Data backup is not what it used to be. Tape is going away, disk is the new medium, and the cloud is disrupting everything. With these new strategies quickly becoming the new normal, it’s difficult to know what is best for your environment. At the end of the day, your backup needs to be reliable, accessible, and ready to launch at a moment’s notice. Download the white paper to learn more about the state of the backup industry. We walk through the issues, shortcomings, and innovations that have led to the widespread adoption of disk and cloud backup strategies. Plus, we showcase the value in a cloud-disk hybrid backup approach. 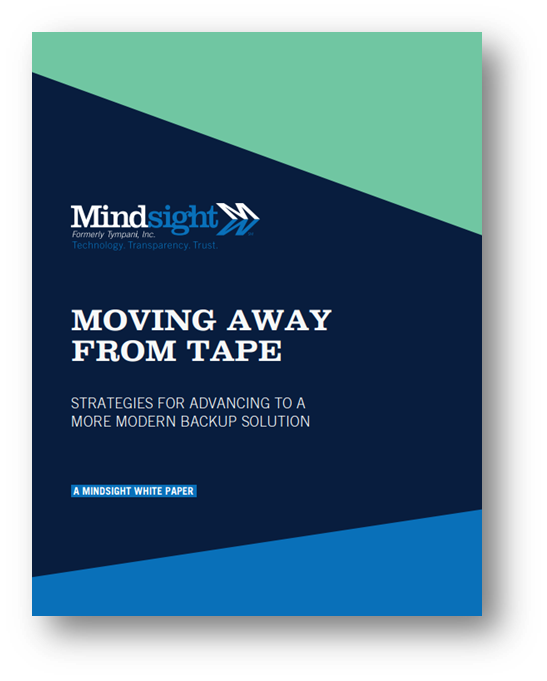 Fill out the form and get your copy of Moving Away from Tape: Strategies for Advancing to a More Modern Backup Solution sent directly to your inbox.